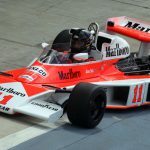 The 40th anniversary of James Hunt world championship will be celebrated at the 26th annual Silverstone Classic vintage racing weekend July 29-31. 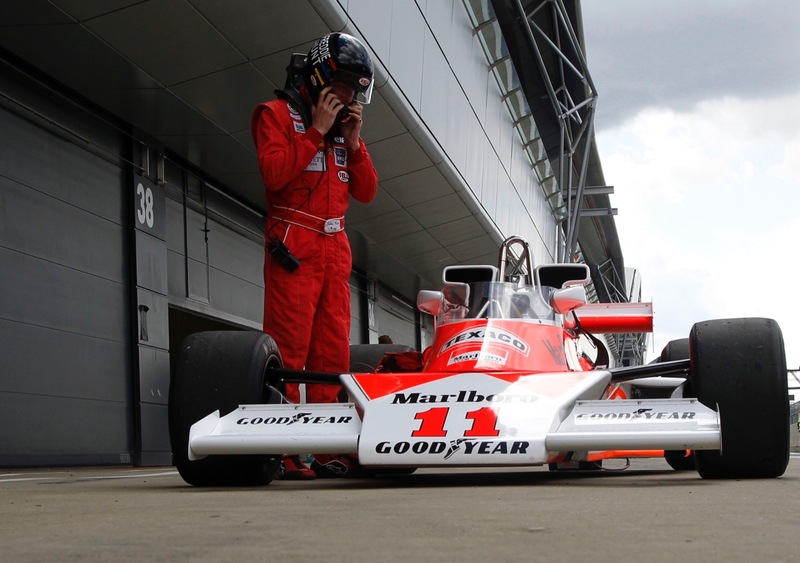 The 40th anniversary of James Hunt world championship will be celebrated at the 26th annual Silverstone Classic vintage racing weekend July 29-31 at the British racing circuit where the media day last week drew some 150 historic racing cars, including several formerly driven by Hunt. 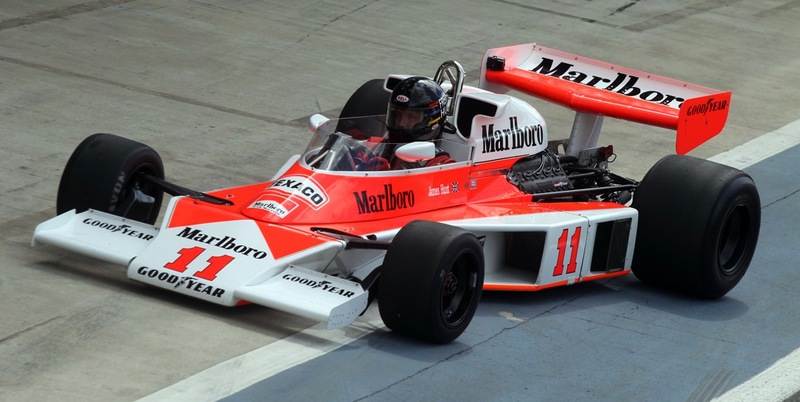 Also on hand was one of Hunt’s sons, Freddie, driving his father’s 1976 championship-winning McLaren M23. Freddie and his brother, Tom, will curate the display of cars raced by their father at the Silverstone Classic this summer. 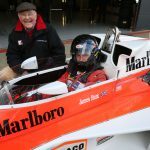 “I know the crowds at Silverstone back in the ’70s really took my dad’s heroics to their hearts, so it’s going to be very special for all of us in the family to be marking the 40th anniversary of his World Championship at this summer’s Silverstone Classic,” Freddie Hunt said during the media day event. 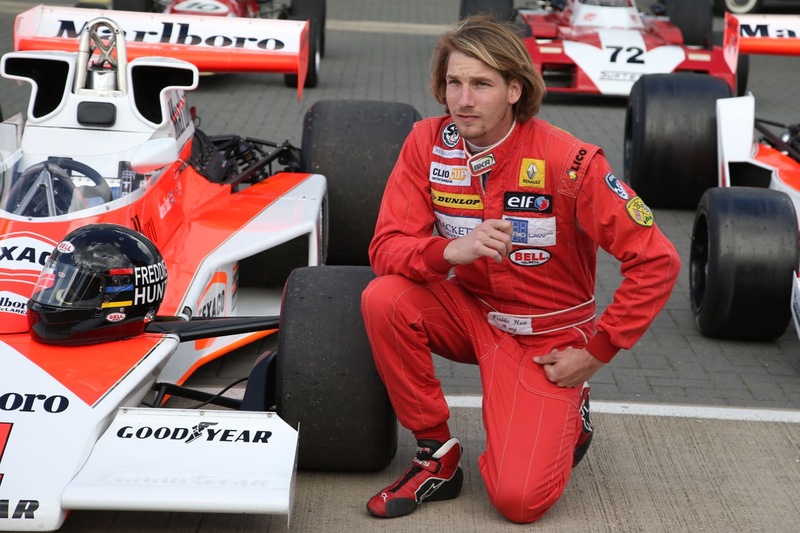 James Hunt died in 1993 of a heart attack at the age of 45. 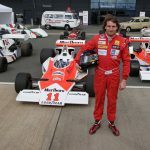 His dramatic championship season and rivalry with fellow F1 champion Niki Lauda was the subject of the recent movie Rush. Hunt scored his first F1 victory at Silverstone in 1974, racing for the local Hesketh team in the non-championship BRDC International Trophy event. Two years later, he won that race again, this time with McLaren. 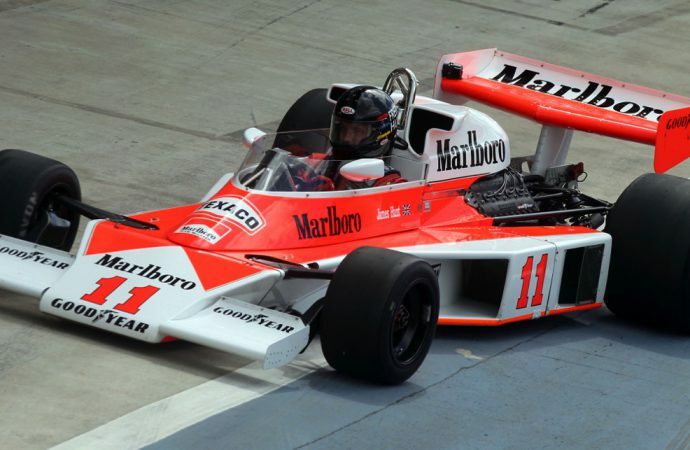 He won at Silverstone again in 1977, taking the British Grand Prix over John Watson. 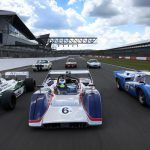 The McLaren M23 and McLaren M26 that Hunt raced will be among the cars on the grid in July for the FIA Masters Historic F1 Championship race that will be part of the Silverstone Classic schedule. Freddie Hunt will race that weekend in the Big Engine Touring Car event, albeit while driving a Mini. The Silverstone Classic is the world’s largest vintage racing festival, last year drawing more than 100,000 spectators for the first time. 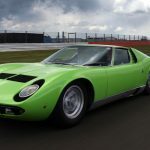 This year, in addition to the celebration of Hunt’s career and cars, the event will feature the 50th anniversary of the Lamborghini Miura and the 25th birthday of the Nissan Figaro. 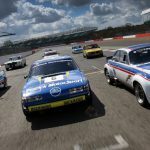 On the track, racing groups will include the Group C twilight race, FIA Masters Historic F1, Legends of Modern F1, Can-Am 50 Challenge, and for the first time, four touring car grids — the JET Super Touring Car Trophy (1990-2000), Historic Touring Car Challenge (1967-1989), Big-Engined Touring Cars (Pre ’66) and Under 2-Litre Touring Cars (Pre ’66). 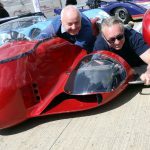 Two- and three-wheeled vehicles also will be racing, with World GP Bike Legends and a Sidecar Salute. On hand for media day was 10-time FIA Sidecar world champion Steve Webster. 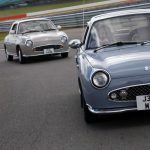 Off the track, more than 120 car clubs will show members’ cars, Silverstone Auctions will do a collector car sale, there will be aviation displays and an inaugural concours d’elegance will take place. To celebrate the 40th anniversary of England’s victory over Germany in the World Cup soccer tournament, a car soccer match will be held.